This post is part of the Evite Influencer Program. #Evite #PartyontheFly #LifesbetterTogether #BeThere #Ad #PaidPost Party concept is my own, opinions are all my own and as always, honest. 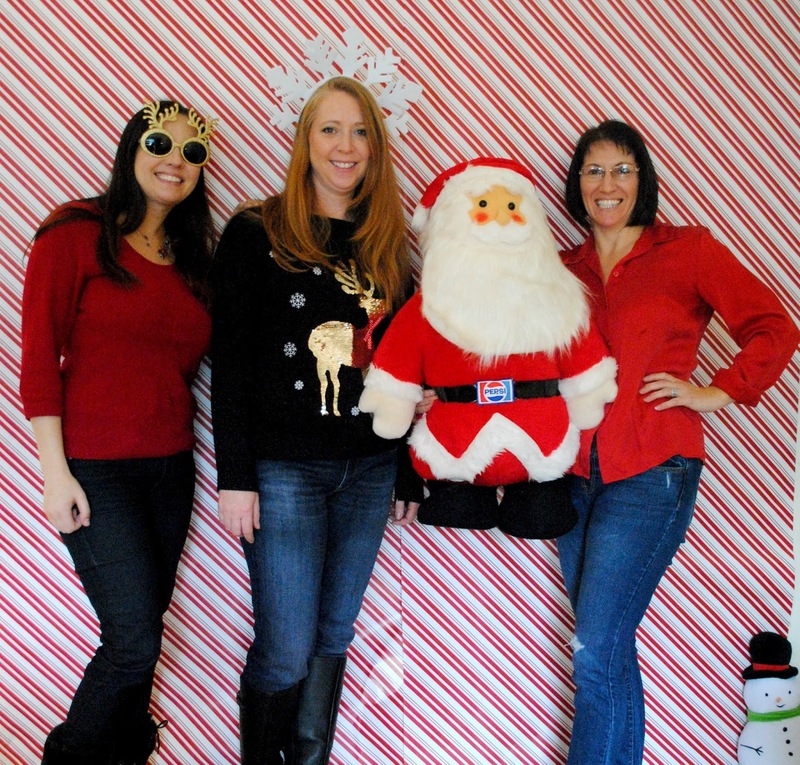 I love hosting a Christmas party and almost every year I host a themed Christmas open house. This year I didn't seem to get it together to host one so I was just going to skip it. 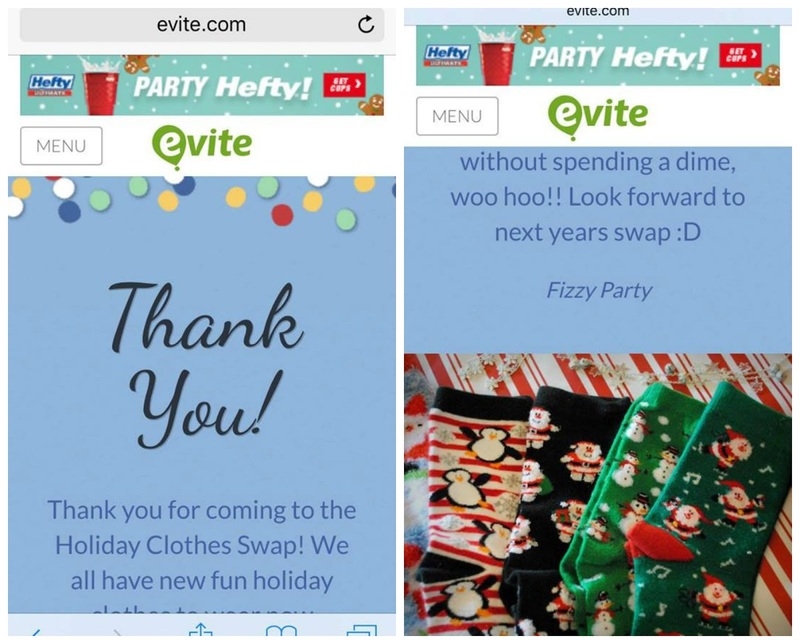 Then Evite® sent me a message and challenged me to throw a party on the fly for $100. Ha! No problem. The bigger challenge was, would any of my friends be free to come over. December is such a busy time of year for everyone. 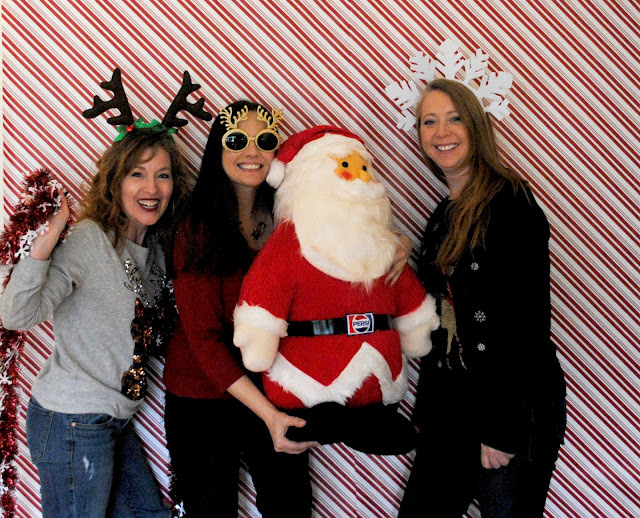 I sent out this fun Santa Evite® and sure enough most of my friends couldn't come. 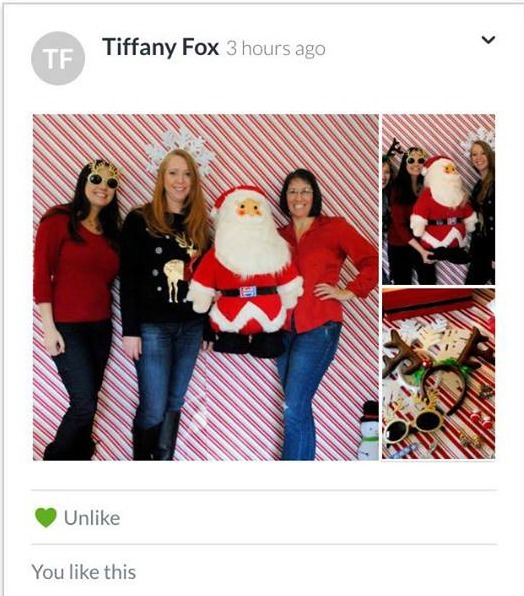 They were out of town, had kids birthday parties to go too or had to help their kids sell trees for their local club. Luckily, 3 of my friends were available. Woo Hoo!! The theme of this party was a twist off of the Naked Lady Party. What's a Naked Lady Party? Yeah, my friends asked me that too. It's where friends bring over clothes, bags, shoes etc they no longer want to wear but are still in good condition. All the items are placed on a table or on racks and the guests go through the items and take home new to them items that they like. 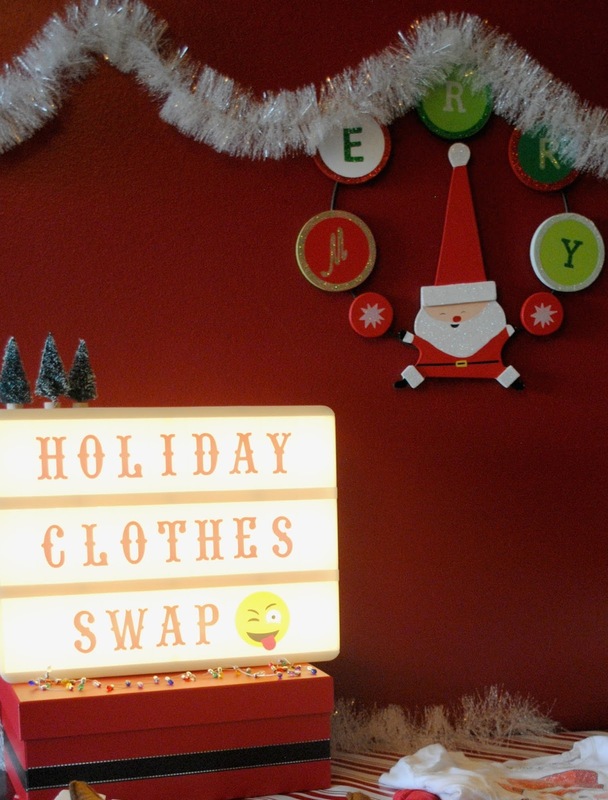 Instead of everyday clothes to swap like at a Naked Lady Party, friends were told to bring holiday clothes, socks, jewelry etc. My friends loved the idea and I know all my friends who couldn't make it are going to be bummed they couldn't come. 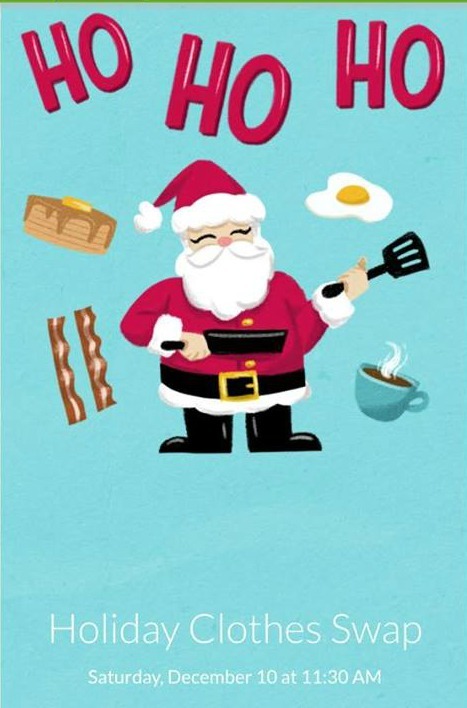 Keeping with the invitations Santa breakfast theme I held this party at the brunching hour, 11:30 a.m. and served up a crustless mushroom spinach quiche, baby croissants, turkey bacon and cranberry juice and egg nog. I love brunch parties because everyone loves breakfast foods and guests still have most of the day to get errands, housework etc done. Plus serving brunch keeps cost down. 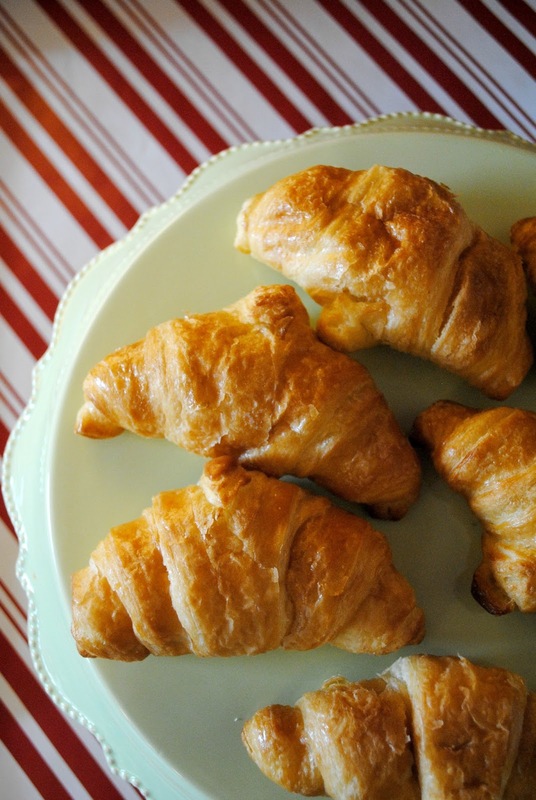 Breakfast foods are less expensive then lunch or dinner. I spent $30 on food, including candy. 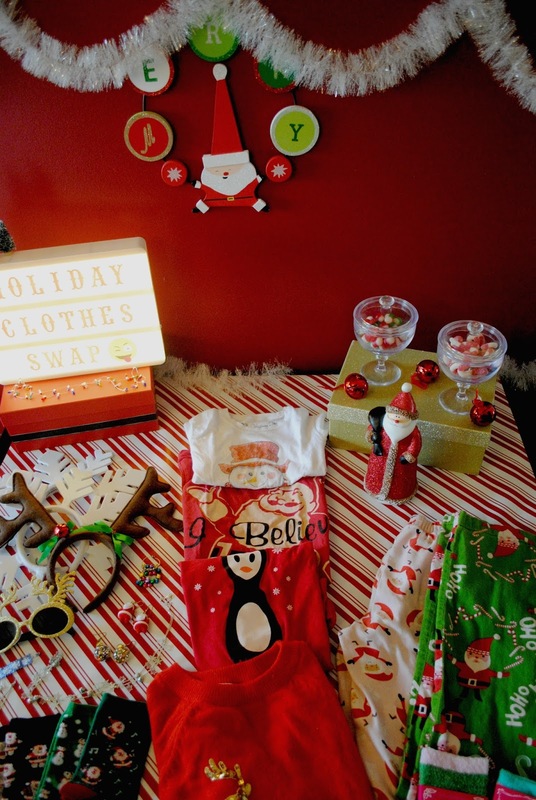 Friends placed their clothes, socks and jewelry on the table when they arrived so everyone could see what was available before the trading began. 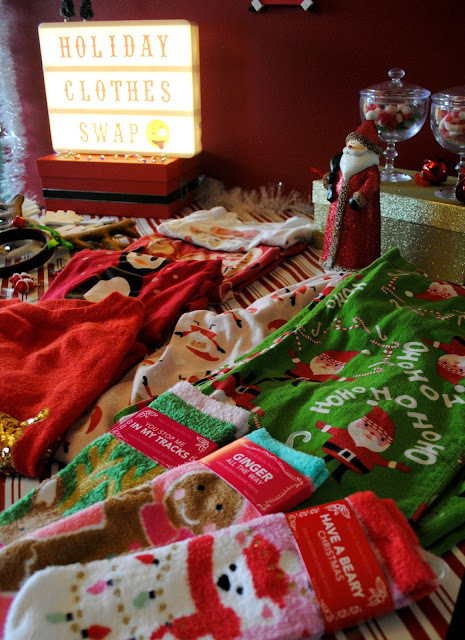 T-shirts, PJ bottoms and more were up for exchange. Keep the table decor simple because it will be full of clothes. 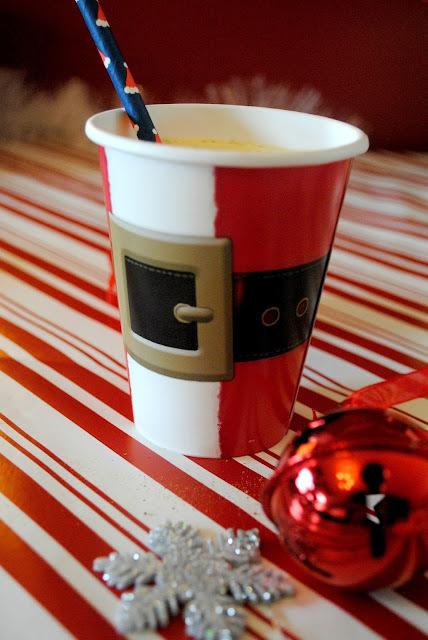 Just bring out holiday items you already own. This saves you money. 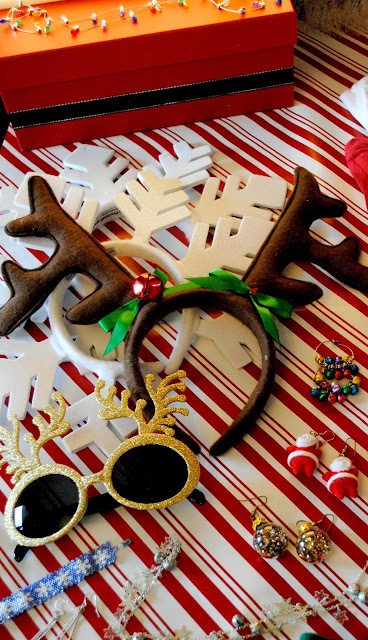 Holiday photo prop head bands were very popular as was jewelry. 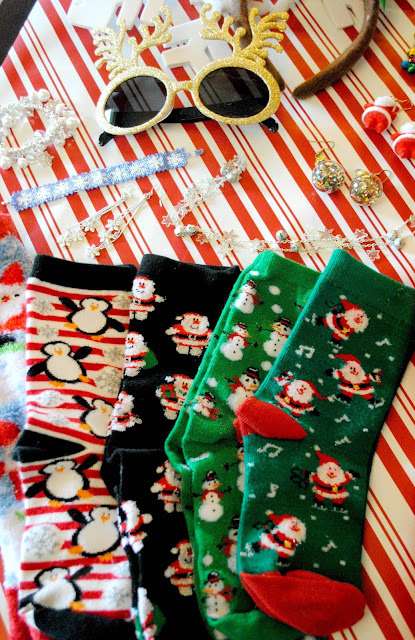 Holiday socks were a big hit too. Everyone went home with new to them socks because they were the most item brought. Going through all the clothes that were brought and trying them on calls for snacks. Luckily Santa brought some. 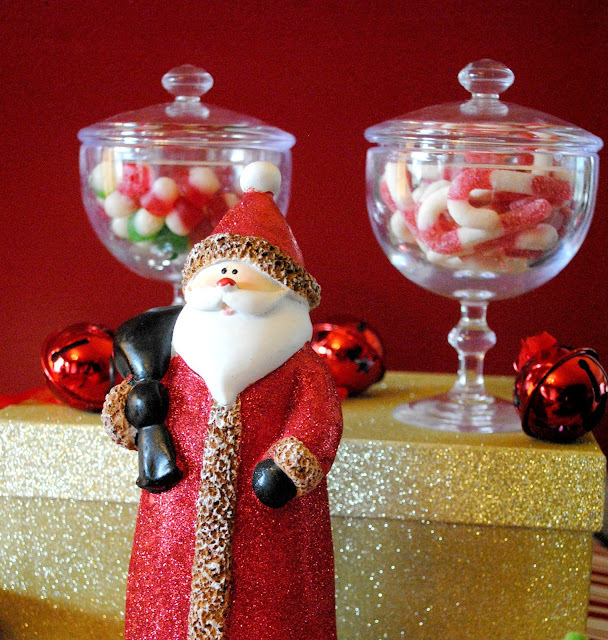 Store bought holiday candy is cheap. Again, saving you money. We were having so much fun going through all the clothes we almost forgot to take some photos. Here's a party tip that will save you money and is so easy to do. For a photo backdrop I like to use wrapping paper. Yes, wrapping paper. It's inexpensive, easy to put up and can match any party theme. If I didn't tell you you'd probably never know that was wrapping paper we were standing in front of. I spent $3 for a roll that I used for the backdrop and on the table. In case guests forget to take photos at the party it's easy to share them now with the new Evite® Private Sharing Feed. It's your own personal photo album of the party. Your guests can like and comment on the photo's you upload. 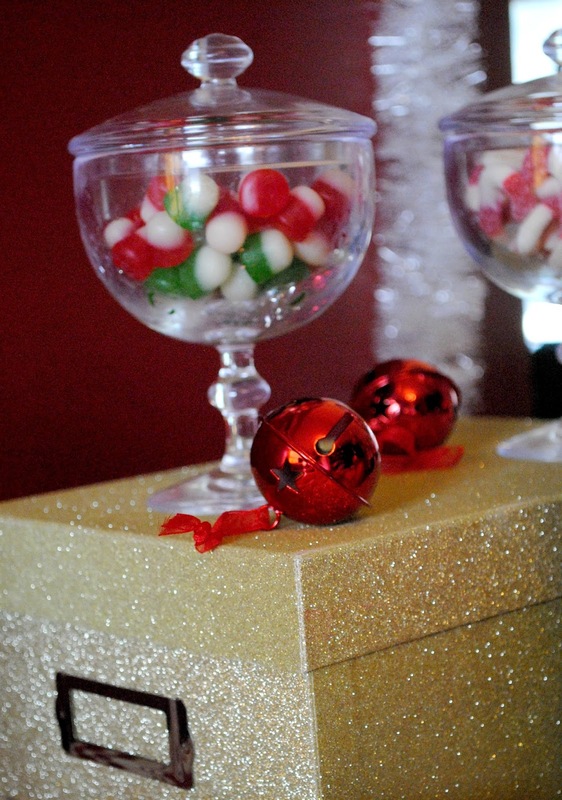 You could even share some teasers before the party to get guests excited to come. After the party it's super easy to send out a Thank You to your guests along with a few photos of the party. All the guests emails are already in your Evite® and you can even personalize each guests thank you. This is such a cool and super creative party!! 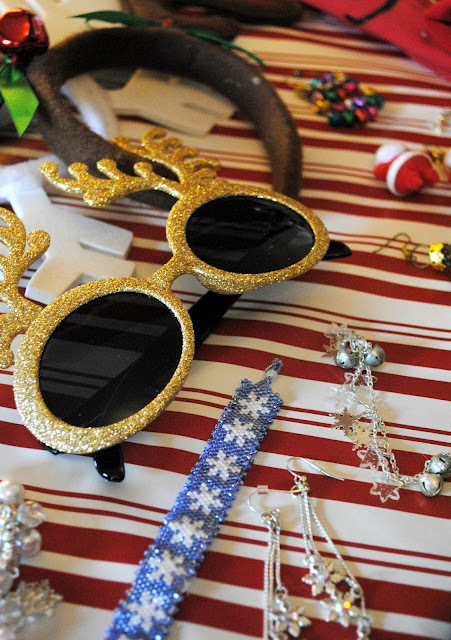 I love the way you set up your swap table with the jewelry, socks and props. Who wouldn't love to go to a party like this AND On the Fly! What a great idea! Holiday wear is hardly worn at all - but we always love to get "new" and fun sparkly festive attire. This a a great way to share! Thank you Stacey! Exactly. You only wear it once a year and only a few times and it's nice to have something new because people start to see the same holiday clothes on you year after year. I think this party may be make an appearance next year too. Hee hee! Thank you ! I thought it was a fun idea and my friends were pretty excited about it. What a fun idea for a party and on anawesoem budget! Thank you! It was super fun. The jewelry was such a hit though I might need to stock up on holiday jewelry when the sales hit for next year! I love being able to throw a great party on a budget. Great idea for giving back, and what a fun setup!